Be a friend of nature. Remarks are the notes you don't trash. Erasable Notes, 4 x 4 with assorted colors. 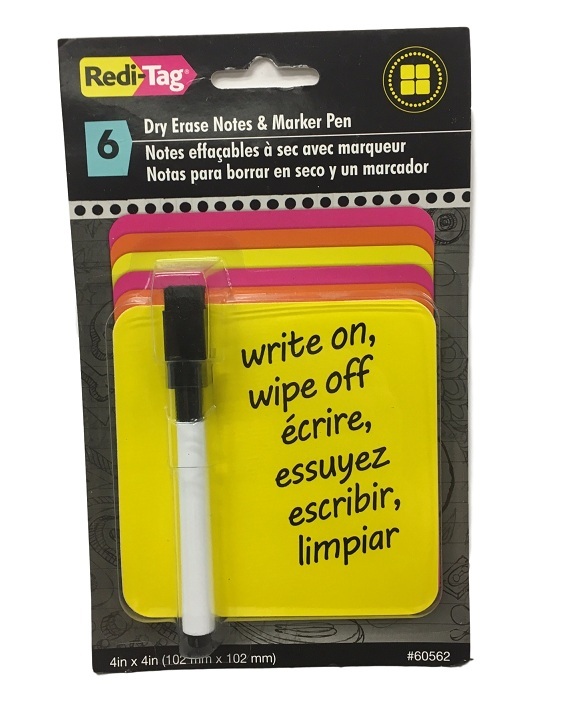 Comes with dry erase notes pen included with dust catching eraser Sticks almost anywhere Remove & reposition with ease.